Bonn – President of the 22nd Conference of the Parties (COP22) to the United Nations Framework Convention on Climate Change, Salaheddine Mezouar, held separate meetings in Bonn with negotiating groups, in order to examine the progress made in the negotiations on the implementation of the Paris Agreement and the decisions taken at COP22 in Marrakech. On Wednesday, Mezouar met with represntatives of the Least Developed Countries Group (LDCs) and of the BASIC group, which includes Brazil, South Africa, India and China. He also held talks with officials of the Green Climate Fund (GCF). 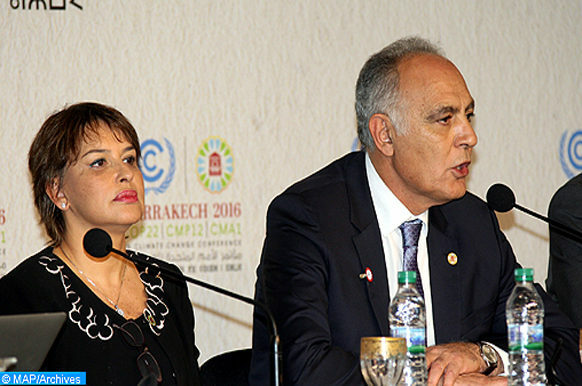 The COP22 presidency also participated in the presentation of the Climate Chance Summit, which will take place on September 11-13, 2017 in Agadir. 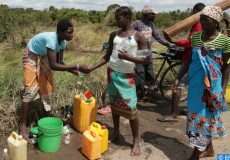 The event, which will be held for the first time in Africa, will focus on the participation of civil society and non-state actors in the fight against climate change. On this occasion, high-level climate Champion, Hakima El Haité, said that the summit is a crucial platform for strengthening the Marrakech Partnership for Global Climate Action, launched at COP22. “We are working with all non-state actors to make a real change tomorrow against climate change,” she said. 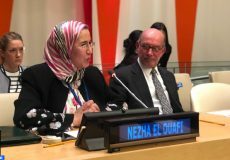 The secretary of state in charge of Sustainable Development, Nezha El Ouafi, signed the “Because the Ocean” declaration, along with 8 other countries, namely Uruguay, Singapore, Haiti, Guatemala, Jordan, Belgium , The Netherlands and Luxembourg. The declaration, which builds on the COP22 consultations in Marrakech and the current sessions in Bonn, is supported by a growing number of countries mobilized to tackle the impacts of climate change on the oceans and in favor of the 14th Sustainable Development Goal for the oceans. 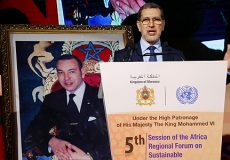 The Moroccan presidency also organized a meeting with representatives of the nine observer groups of the United Nations Framework Convention on Climate Change (UNFCCC) to take stock of the progress made and to reiterate the support of the Moroccan presidency to their efforts, in order to maintain the positive momentum of the Marrakech climate action. The May session on climate change started on Monday in Bonn and will continue until May 18th. It is bringing together nearly 4,000 participants, including negotiators, climate change experts, observer members, and representatives of civil society, representing more than 184 countries.